After a wait of over three decades, the IAF has finally got its hands on the first squadron of home-grown Light Combat Aircraft ‘Tejas next’ with the induction of two aircrafts into the force in Bengaluru. Hindustan Aeronautics Limited handed over the first two Tejas aircrafts to IAF which will make up the ‘Flying Daggers’ 45, the name of the first squadron of the LCA. The home-grown aircraft is equipped with a quadruplex digital fly-by-wire flight control system to ease handling by the pilot. Due to its small size and the extensive usage of carbon composits, its radar cross section is very less compared to other aircrafts like MiG-29, F-16. Tejas incorporates a distinctive ‘glass cockpit’ in which information is displayed real-time to the pilot. Tejas also has open architecture software for avionics, which can be updated by DRDO as and when required. n comparison to JF 17, jointly built by Pakistan and China, Tejas is superior as it is mostly made of composite which makes it light and agile. Further, LCA Tejas and JF-17 were built with totally different purposes in mind. Hence, even though they were built along a similar timeline, it is not really fair to compare them. Unlike Mig-21, LCA Tejas is of a newer generation. It has better avionics and improved cockpit. Since Tejas uses carbon composites in its structure, it is lighter in weight and has a much stronger body compared to Mig-21 bisons. Tejas will definitely help the Indian Air Force to make up for the decreasing numbers. However, at the same time, the light-weight jet cannot be used as a substitute for the medium-weight multi-role combat aircraft (MMRCA) or heavy-weight fighter jets. Tejas will have a limited reach of a little over 400-km, which means it can be used for close air-to-ground operations. For any strikes which happen deep into enemy territory will have to be undertaken by Russian-origin Sukhoi-30MKIs or the Rafales. The light combat aircraft was named ‘Tejas’, which means ‘radiance’, by former prime minister Atal Bihari Vajpayee. 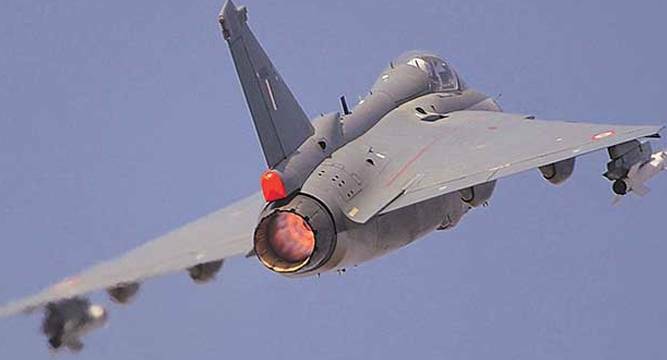 The upgraded version of Tejas, with Active Electrically Scanned Array Radar, Unified Electronic Warfare Suite, mid-air refuelling capacity and advanced BVRs, will cost somewhere between Rs 275 crore and Rs 300 crore. PM Narendra Modi took to Twitter to laud the effort of HAL and ADA on the induction of the LCA.